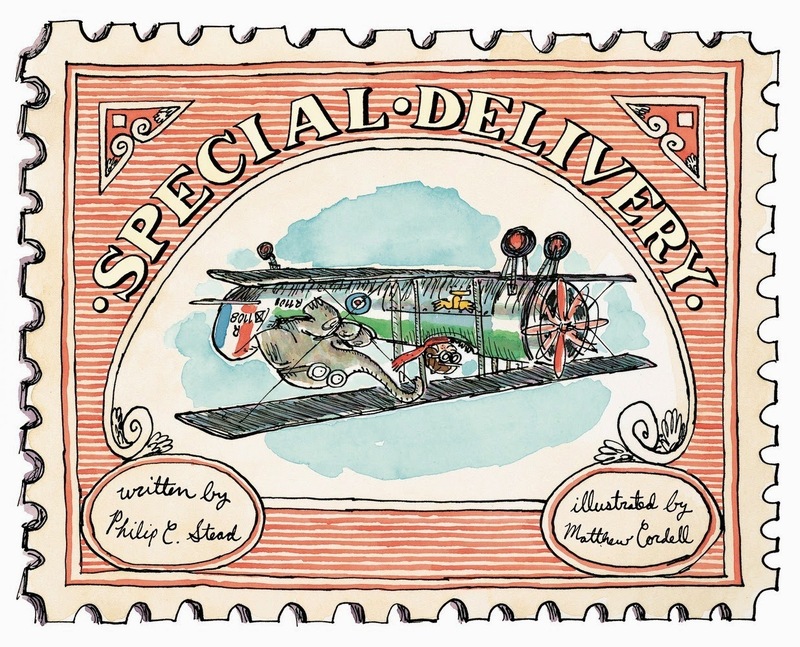 The Nerdy Book Club, Mr. Colby Sharp, and I are celebrating one of the most fun books to read aloud, Special Delivery. I hope you have fun jumping from blog to blog. Hi, Philip! I am having a pinch-me moment right now. Do I really get to interview the author of A Sick Day for Amos McGee? I fell so hard for it in 2010. I told Anderson’s Bookshop a few weeks before the 2011 Youth Media Awards press conference that they better have extra copies on hand. Creamed Tuna Fish and Peas on Toast, Jonathan and the Big Blue Boat, and A Home for Bird were all written and illustrated by you. Bear Has a Story to Tell and A Sick Day for Amos McGee were illustrated by Erin E. Stead. 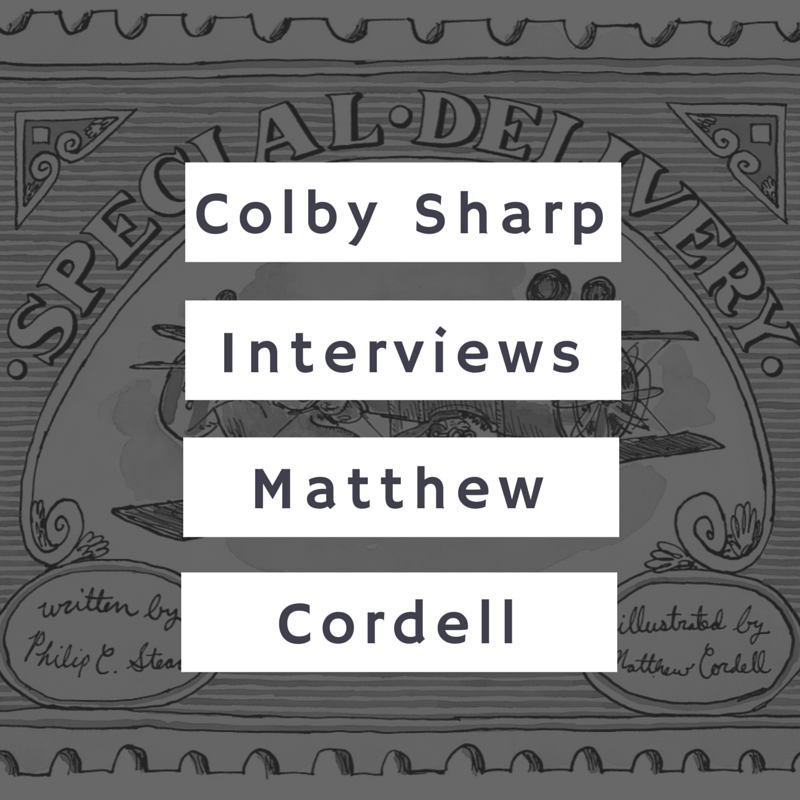 How did you and Matthew Cordell come to collaborate together on Special Delivery? That day I wrote the first draft of Special Delivery. Shortly thereafter I dropped that draft in the mail (the real mail, of course, not e-mail) and sent it to Chicago, where Matt read it and agreed to give it a go. The making of this book was spontaneous and improvisational from start to finish. Hopefully, that spirit is evident in the final product. things about your experience working with him. Philip Stead: “A good eye” is a nice way to put it. Neal can identify the value in a project (or the lack of value) very early on in a project. From then on he is very hands-off. He often cites the Hippocratic oath: Do no harm. Because his process is more about the eye than the hand, his books vary wildly. The personalities of the artists (rather than the editor) shine through. In a way this eclecticism is actually a hallmark of Neal’s own personality. He is equal parts Bad Kitty, Amos McGee, and so many more. If we had been friends in middle school, what books would I have found on your bookshelf? 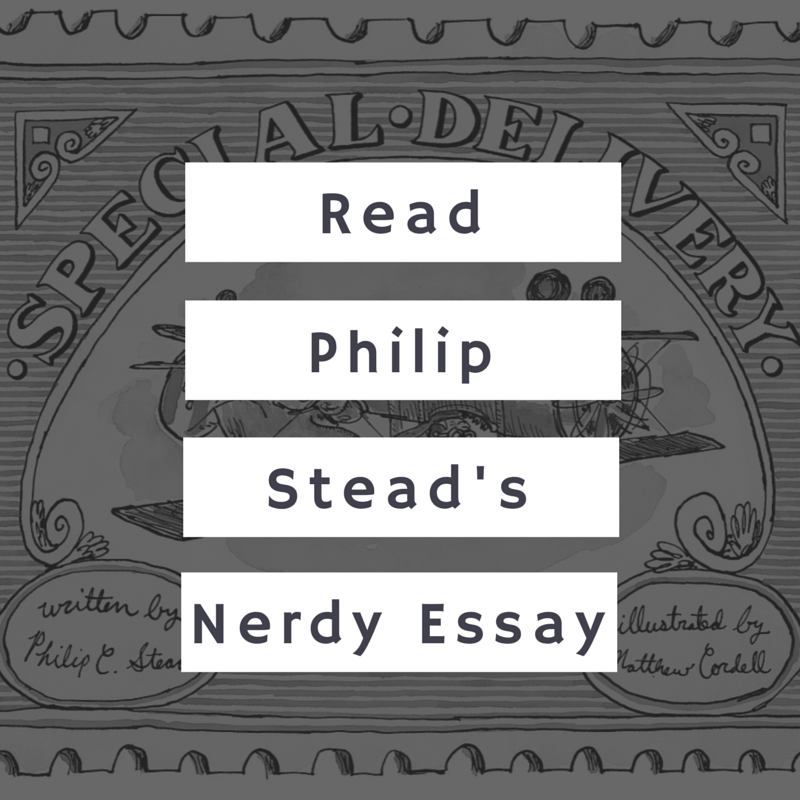 Philip Stead: Well, in 6th and 7th grade I took a hiatus from Literature with a capital L and spent most of my personal reading time hanging out with Spider-Man and Luke Skywalker. I sometimes wonder if those Star Wars fan fiction books were as good as I remember them. Until about 5th grade though it was all Roald Dahl all the time. I really believe that my time with Dahl at ages 9-11 continues to inform my whole personality to this day. One particular passage from The BFG comes to mind as being as one of the big Ah-hah! moments of my childhood. It’s the passage where the BFG gives his speech about the violence that “human beans” do to one another. I don’t think I had another Ah-hah! moment like that until I discovered Kurt Vonnegut in college. People always describe Dahl (and Vonnegut for that matter) as being “wicked”. But to me, all of Dahl’s books are about kindness. Is it true? Are you and Erin really coming to NerdCampMI? Philip Stead: It’s true! Mark your calendars for July 6th-7th! Picture books are a three-dimensional art form, and are harmed irreparably when compressed into the two dimensions of a digital screen. Lauren Castillo’s Nana in the City was my favorite book of 2014, and I was so happy to see it recognized at the ALA awards. 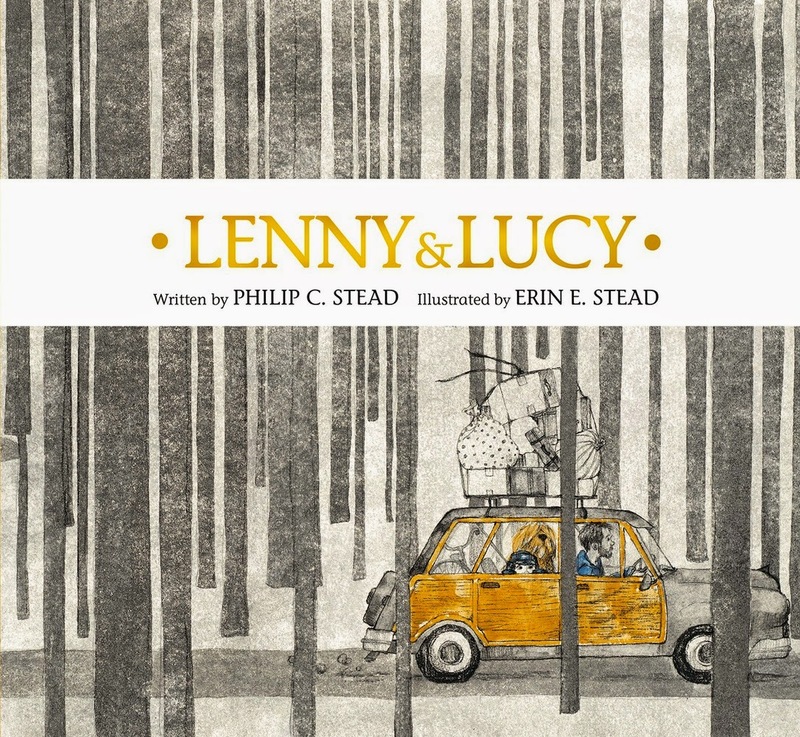 Lenny and Lucy’s cover illustration was inspired in part by the design of the Penguin Classics novels of the 1960’s. Click here for more information about the Special Delivery Original Art Giveaway to Support Children's Literacy. Mr. Schu, you should have asked me what my favorite children’s literacy non-profits are. I’m so glad you asked! Locally, I’m a big fan/supporter of 826Michigan. Check them out at www.826michigan.org. For ten years they’ve operated out of a little space in downtown Ann Arbor. This year they’re expanding to include a second location in my favorite city in America—Detroit. This organization and this expansion mean a lot to me. So if at this moment you’ve got some money burning a hole in your pocket maybe consider making a small donation. Like many other great literacy programs, a little money goes a long way. Heck, while I’m at it, why not mention one more? I tell everyone who’s interested about the great work An Open Book does in and around Washington D.C. Please check them out at www.anopenbookfound.org. Every city in the country should have an organization just like this one. They do so much with so little to get books into the hands of children. Their mission is simple: 1. Bring an author to a school. 2. Give every child a book. 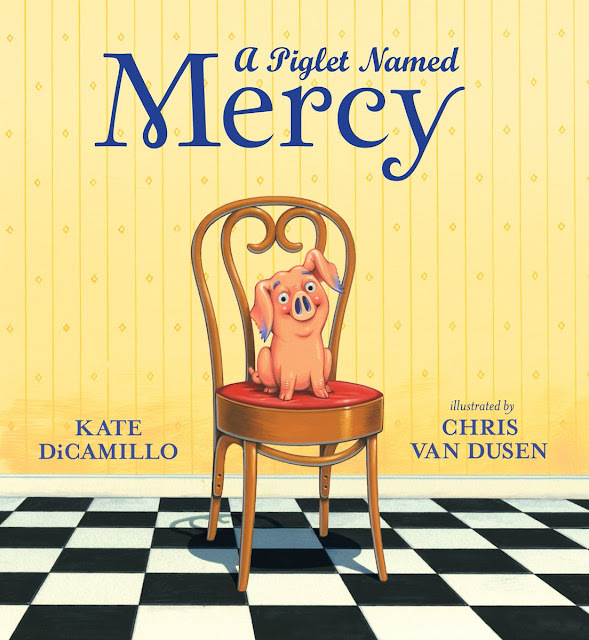 A donation of $250 will send an entire classroom home with a brand new book signed by the author. Having participated in a few of these classroom visits myself, I can personally vouch for how much these kids value the books they’re given. "Write about the things you know and like from your own life, because your own life is incredibly interesting stuff. Be accepting of sound criticism and learn from it, no matter how hard it is to hear (only then will you improve). "-Matthew Cordell | Click here to read the full interview. "Where do your ideas come from? I hear this question more than any other. Sometimes the answer is easy. For example, take the first book I made with my wife, Erin, A Sick Day for Amos McGee. Due to an unlikely series of events I was asked to come up with a story in about 24 hours. Luckily, sitting on our kitchen table was a little pencil sketch of an old man and an elephant. 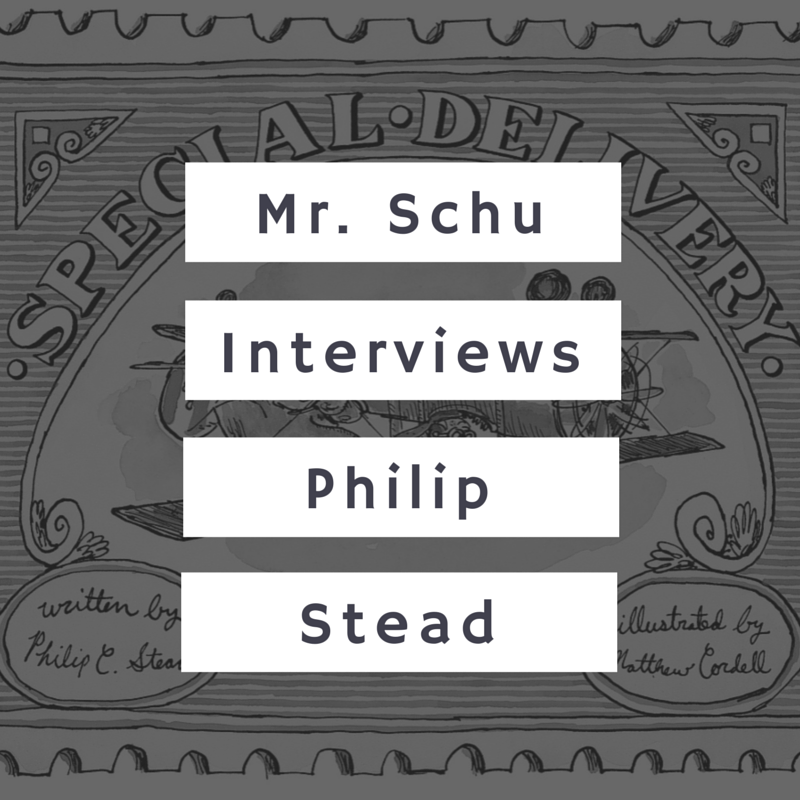 "-Philip C. Stead | Click here to continue reading Philip's post. 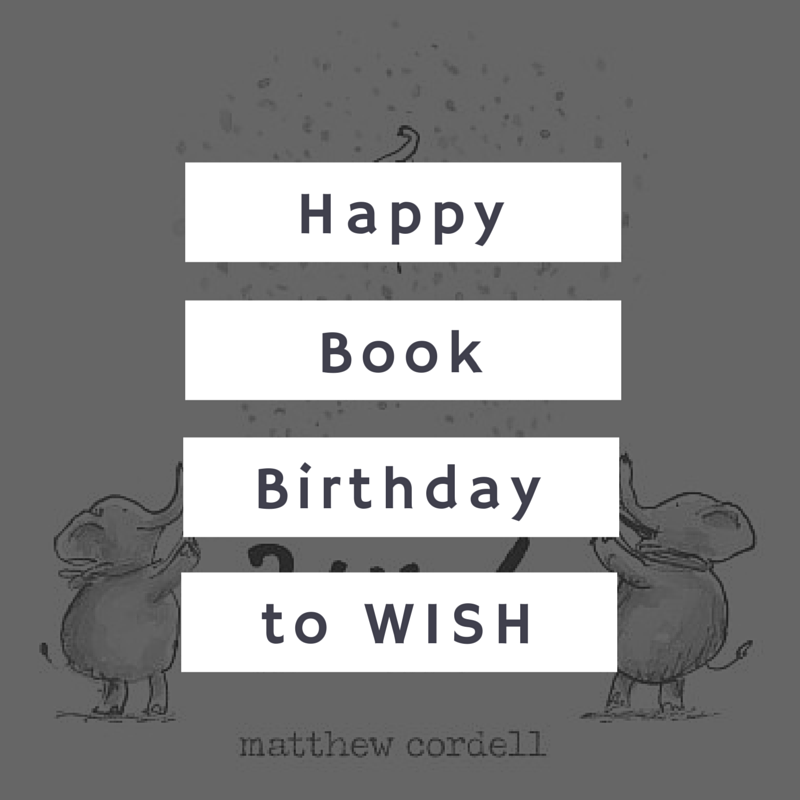 Matthew Cordell's Wish is being sent out into the world today, too. Congratulations, Matthew! Borrow Special Delivery from your school or public library. Whenever possible, please support independent bookshops.